1. Prepare vegetables and fruits for slaw, grating the apple last. 2. Sprinkle lemon juice over all ingredients to prevent browning. 3. In a large bowl, mix all vegetables and fruits together and set aside. 4. 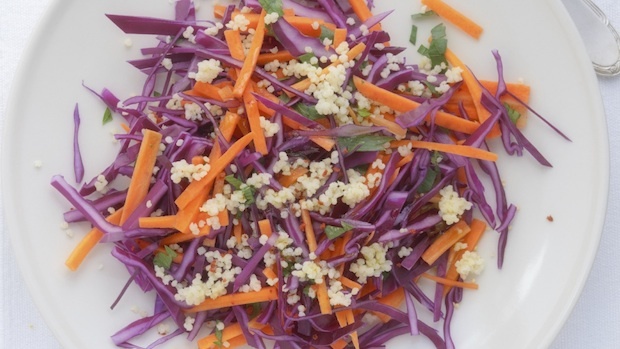 Mix all dressing ingredients together, pour over slaw, toss and refrigerate until ready to serve. Note: this dish can be prepared in advance and kept in the refrigerator until it’s time to serve it.